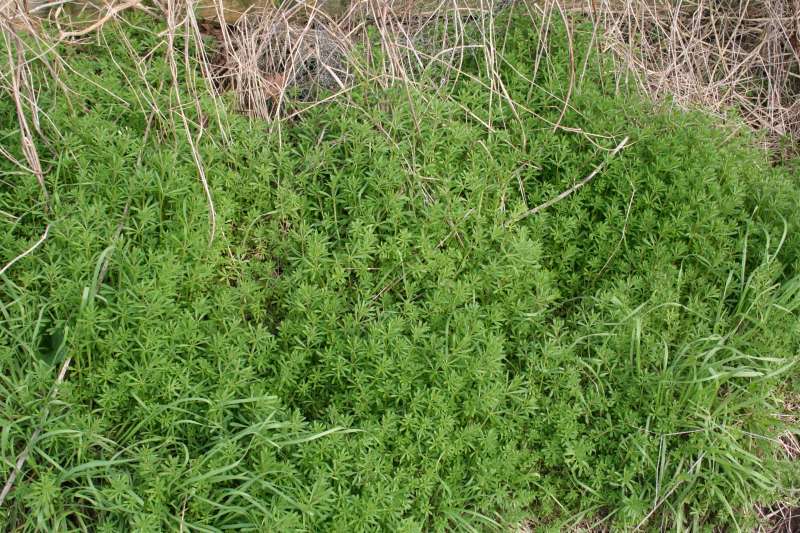 Goosegrass, cleavers, clivers, barweed, hedgeheriff, hayriffe, eriffe grip grass, hatruff, catchweed, scratweed, mutton chops, robin-run-in-the-grass, loveman, goosebill, everlasting friendship.... Galium aparine is so common and so well known that it has a huge number of local names. It's a garden weed, disliked by all gardeners! However you can eat it. I find the young tips in spring or in autumn to be not at all unpleasant in a salad, though admitedly they don't have a lot of flavour. But you can also strip the leaves off the more woody, square, stem and cook them. But when the seeds start to form it becomes too dry and tough to be palatable. 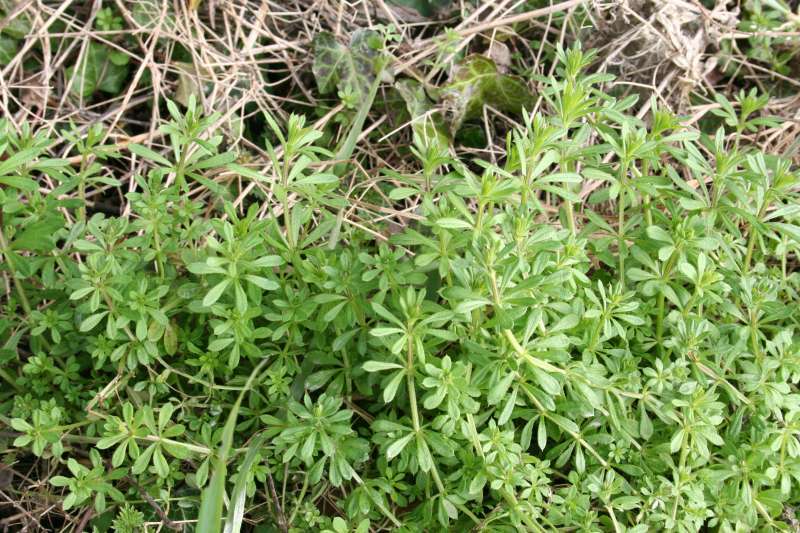 Galium aparine also has significant medicinal benefits so is worth considering as a salad addition. One correspondent reports that is is very effective in helping to clear urinary tract infections, used to make a tea. Photos taken 7th February 2009, on a field edge in Burwell. Page first published: 16th March 2009.